Though the gorgeous island state of Tasmania has long been a popular tourist destination, for more than 100 years its only real interest to golfers was the rudimentary Ratho golf course, which was the first in Australia and one of the oldest anywhere outside of Britain. It was not until the 2004 opening of Barnbougle Dunes, in the sleepy seaside village of Bridport, that the entire golfing landscape in this most southerly corner of Australia changed forever. 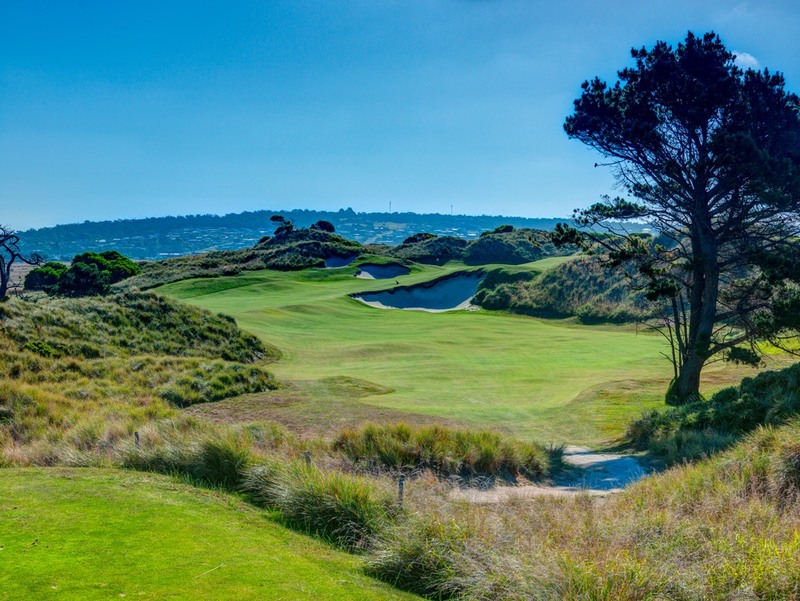 Tasmania is now a major international golf tourism player. 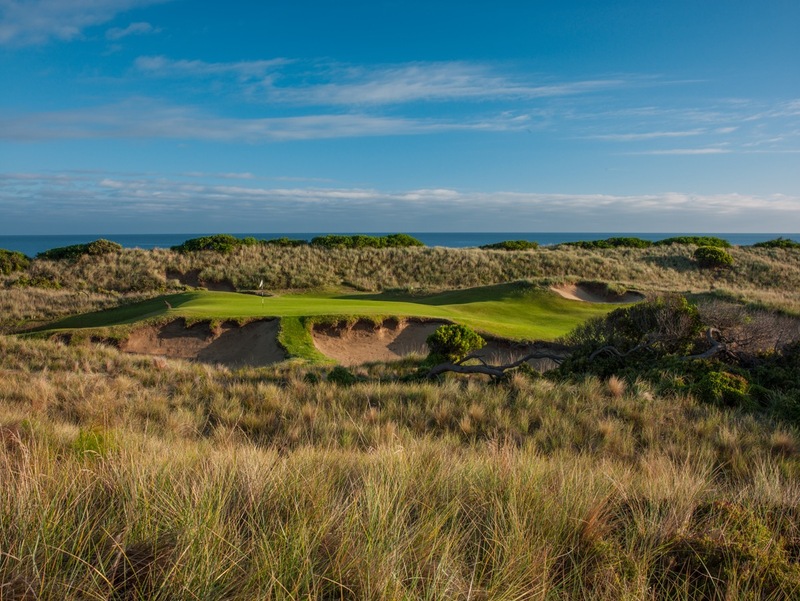 It all started with the first Barnbougle project, laid across an impressive two-mile stretch of duneland along Bass Strait. 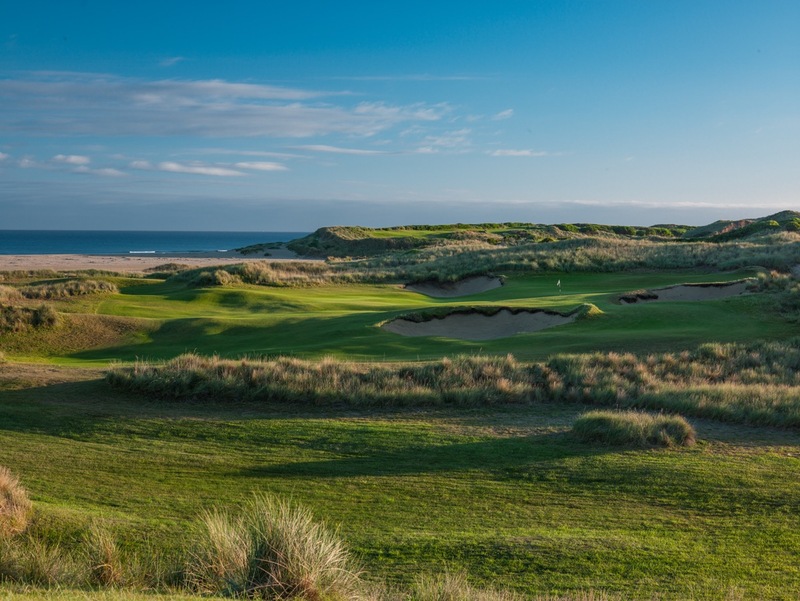 The course was the brainchild of a persistent young links fanatic named Greg Ramsay who pestered, harassed and finally managed to convince a gruff potato farmer, and staunch non-golfer, to convert part of his 14,000-acre Barnbougle farmland into a golf course. Fresh from the success of Pacific Dunes, American Tom Doak was the chosen architect and although the first business model for the development failed, Doak was so eager to build the course that he offered a long-term payment plan for his services. The gesture helped convince the landowner to proceed with the development himself. Working with local partner Michael Clayton, Doak set about shaping the curving beachside sandhills into a quality links. Crucial to their design was a decision to opt for a central clubhouse, which meant holes could be laid out in two loops on either side. This prevented a long continuous stretch into the strong winds and allowed for the closing holes to play along the beach. Routed mostly through dense valleys, the outward half occupies the heavier dunes although it opens with a couple of holes on the flatter farming land. The short par four 3rd, its drive partially obscured across a diagonal ridge, is the first that dives into the sand. 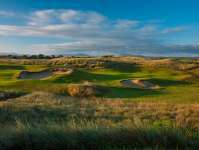 The next is a driveable par four and the first real jaw-dropper, the hole dominated by a massive bunker embedded into a steep hillside that must be carried in order to get near a green resting within a deep dune bowl. The walk from here to the 5th tee is a real highlight, as is the tee shot on the 6th and the sideslope approach into the 9th. Along with the 4th, however, the most memorable hole on the front side is the evil 7th, a 120-yard par three that swings back into the prevailing winds to a tiny crowned green that is protected by a deep trap left and steep banks short, right and long. Few short holes anywhere are more glorious. 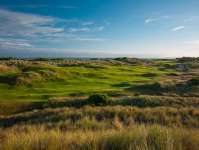 Setting out in an eastern loop, the inward nine is built across broader, more expansive undulations and heads toward a tidal inlet, before turning west and returning to the clubhouse alongside Barnbougle beach. 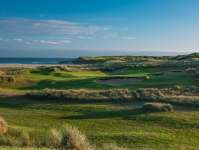 Better holes include the tempting par five 11th, the reachable par four 12th and beachside 17th, with a glorious tee shot and very cunning green complex. For many, the standout on the inward side is the 15th, a mid-length par four played along the inlet and its adjacent dune ridge. With a great view of the Lost Farm course from the tee, the challenge here is finding a slither of fairway on the right-hand side to open up the best angle into a narrow, and sharply falling, green site. 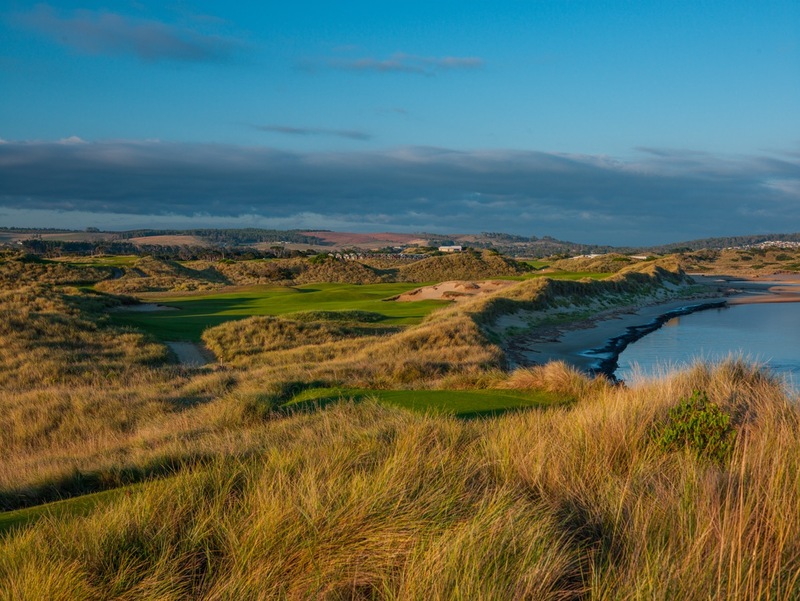 Beyond the impressive dunes and beautiful beachside setting, the standout features at Barnbougle are the naturally rugged bunkers and quirky greens, which are quite busy and generally built to allow balls to be bounced off wide slopes and fed toward certain pin positions. Sensibly, the designers left most targets open at the front, to ensure the course was manageable for all players under all conditions. They also positioned their bunkers judiciously, often preferring to test the inaccurate approach with hollows and clever chipping zones instead of sand. 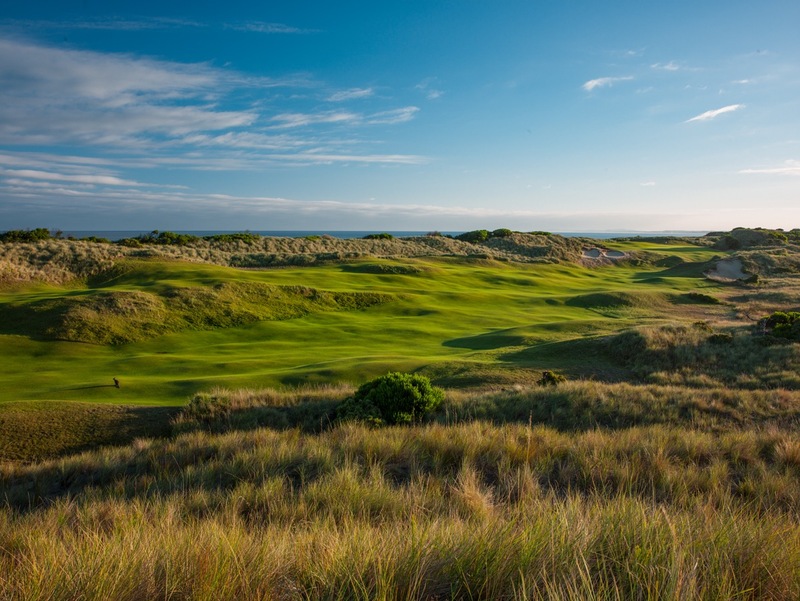 Despite its basic two-loop routing, the direction of play changes quite regularly at Barnbougle and its firm fescue surfaces present a similar links examination as the premier layouts in Britain. 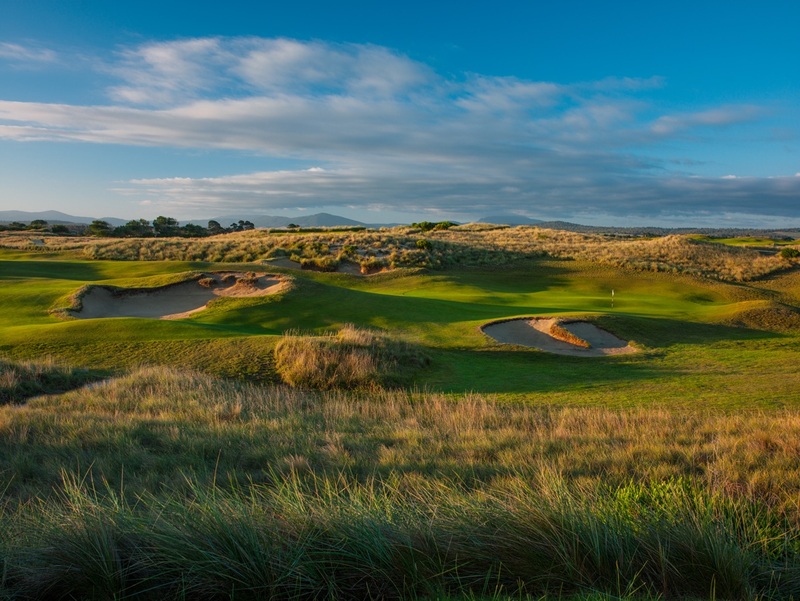 Thanks to the vision of a young links addict, and the ability of Doak, Clayton and their teams to fashion the raw sand dunes into an exciting experience, Barnbougle Dunes is one of modern golf’s great discoveries and the sort of pure, uncompromised golf project the world needs more of.